The theme of our first meeting of the new year was “your best self,” modelled after Indigo Books‘ own focus entering 2017. 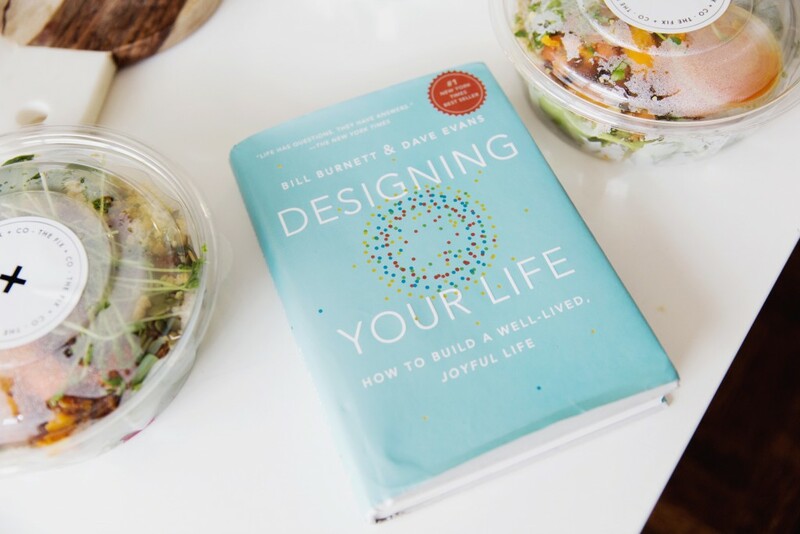 So it’s only natural that when it came to sustenance for our literary discussion, we’d turn to a company that served the healthiest food options: The Fix & Co. It all started with a passion for family, healthy eating and cooking. 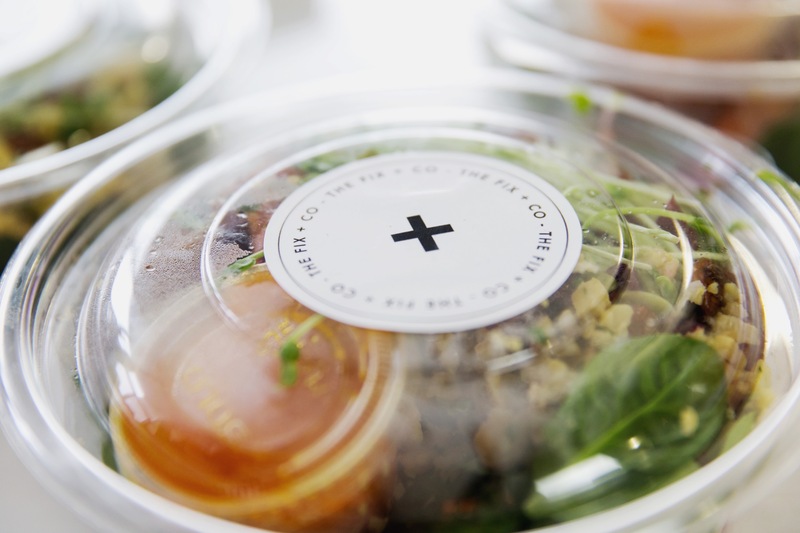 Founded by two cousins, Tamara Spinatsch and Adrianna Stadnyk, The Fix & Co redefines the concept of “fast food” by delivering healthy options directly to offices, businesses and homes in the community. With a brick and mortar in Etobicoke, they focus on the West End Greater Toronto Area. Luckily for us, we were barely made the Eastern edge of their border. What did we get? More like, what didn’t we get. 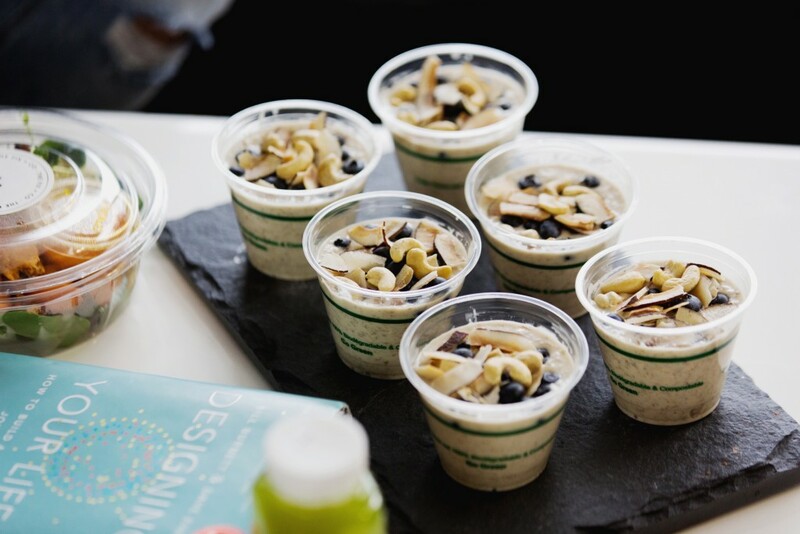 We started with their Oat Bowl, which was topped with nuts, seeds and seasonal fruits. 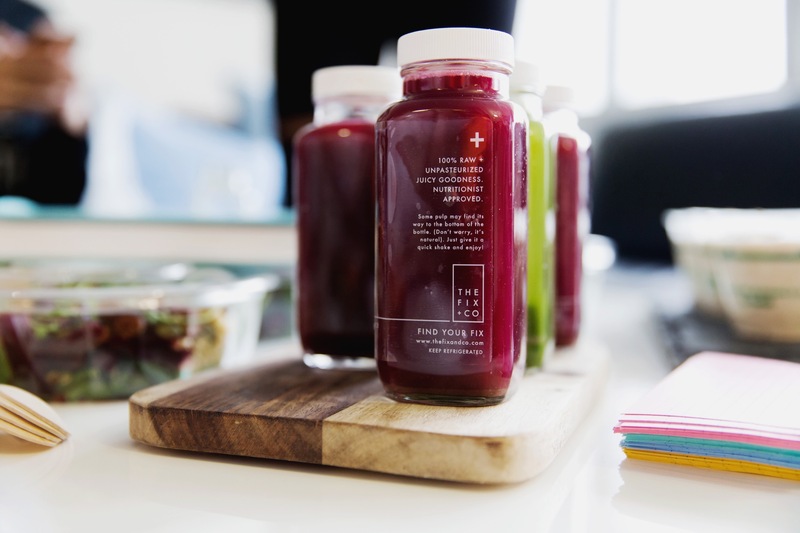 We washed that down with a selection of their cold-pressed juices including On The Mend, Fixer Elixir and The Antidote. 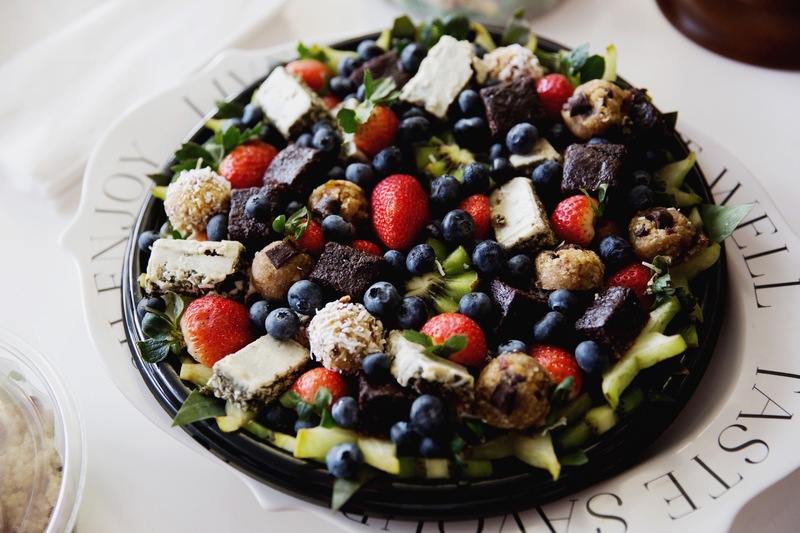 Since our meetings take a couple hours at the very least, we also got a couple salad options and a platter of incredible light treats. Overall, the spread was impressive. The Fix & Co takes pride in its food from ingredients to presentation. Whether ordering for yourself or taking advantage of their catering service for a larger group, you won’t be disappointed.